Source Old houses are typical village houses renovated. The houses are for 4-6 people, with two bedrooms, one with double bed and one with twin beds or bunk beds and a sofa bed that converts into a bed of 1.35 in the living room. If we need crib. The houses are within the village, near the river, in a quiet area yet within walking distance of everything. They are renovated village houses. They have no frills but have everything you need to spend a few days comfortable and quiet manner. The houses have sheets, towels and kitchen except cot linen. A washing machine, oven, stove, microwave, iron, ironing board, blender, coffee maker .... Each has its patio with barbecue, where you can have a good time. In the houses there are pellet stoves. Mojados is a people neither too big nor too small but has enough to spend a few pleasant days. The village has municipal library, there is a youth center where they have games, game consoles ... there is always a monitor. No times but with a card that tb is a small amount (about 10 € I think) can go all they want. One day a week in the center of culture there free movie night outdoors for children and youth. Municipal pools are within the village and there is no great distance can drive or walk. They are very clean, well maintained and very affordable. It has a cafeteria, library, children's workshops, swimming lessons and sports facilities (pediment, paddle, ....). (Cinema and pools only work in summer). There are two equestrian centers and during the first weekend in July (1-2) in the village there is a representation of the meeting that took place in this town in 1517 between King Charles I of Spain and V of Germany and his brothers Fernando and Leonor. Almost all the people dressed in time for the representation and there is a parade through the streets of fully decked himself. During that weekend there is also mounted a Renaissance market. In the village there are 2 supermarkets, grocery shops, butchers (some breeding their own cattle and meat is very good and well priced. Almost all who come here take meat. You prepare it and vacuum packed). Cheese factory with an excellent sheep cheese, 2 bakeries very close to home with sweet and very rich breads and cleavers in the store that sells vegetables from his garden. Very close to the houses begins a path or lane about 6 km to go quietly biking, walking or running safely. It is a very pleasant walk that takes you through the countryside to the chapel. Valladolid is 25 km from here and except for a small stretch the rest is motorway. In our province there are three Holy Week of International Tourist Interest: Valladolid, Medina de Rioseco and Medina del Campo, one of National Tourist Interest: the Descent of the Angel and one of Regional Tourist Interest: Tordesillas. If you do not know much about this area advantage worth to visit cities like Salamanca, Zamora, Segovia, Avila, Leon, Burgos, Madrid caught not far from here. Most are between an hour and a quarter and half hour Mojados, Max Leon and Madrid are two hours. They are also very close, just 18 to 20 km, Medina del Campo with his new Castle of La Mota and the Balneario Las Salinas; Olmedo where you can visit the theme park mudejar C and L and the Balneario Villa de Olmedo; The Museum of Roman villas; The Roman villa of Almenara-Puras; The Valley of the six senses and slightly further away but not much to make a boat trip on the Canal de Castilla. Houses are in full D. O. Rueda and very close to the D. O. Ribera de Duero and Cigales, ideal for organizing visits to wineries location. Una semana de vacaciones geniales. La casa es muy acogedora, dispone de todos los servicios y la propietaria es un encanto y ha estado pendiente de todo lo que podríamos necesitar. Hemos puesto mucho cariño para preparar "Las Casas de FuenteVieja" por lo que es una satisfacción para nosotros saber que habéis estado a gusto y todo ha sido de vuestro agrado. Cuidadosos, respetuosos, educados ....personas como vosotros da gusto. 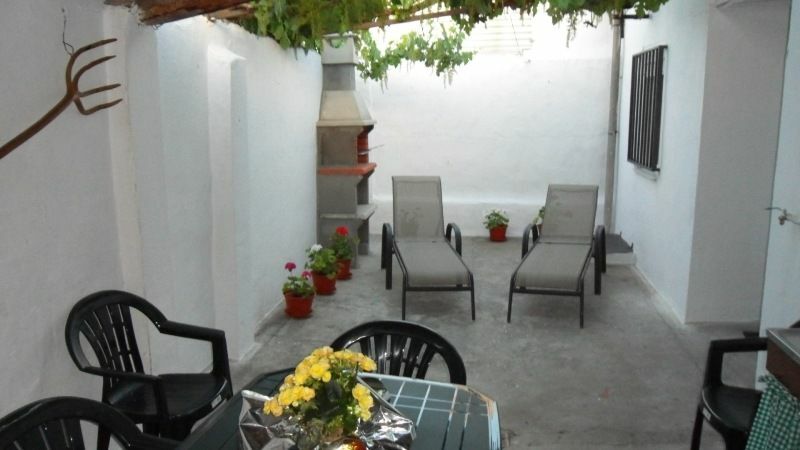 Ha sido un verdadero placer conoceros y teneros en nuestras Casas de Alquiler para Vacaciones. Esperamos volver a veros pronto por aquí. Muchas gracias por vuestra amabilidad, ayuda y colaboración en todos los aspectos. Si tuviéramos que poner nota esta sería un SOBRESALIENTE. Muchas gracias a vosotros. Ha sido un placer conoceros y esperamos volver a veros por nuestras Casas de Alquiler.